Laser Tag – Are you ready to pull out all the stops? Are you going to be the one who provided the ultimate in party entertainment? If you want your guests to be talking about how much fun they had, is not for months then years to come, you're going to want none other than the About to Bounce Laser Tag Arena with 10 laser guns. Laser tag is often a hassle, and you have to go to a specific location and jump through a ton of hoops just to have a good time – albeit brief. That's why About to Bounce has what it takes to bring laser tag right to your party, with a 44' x 24' arena with 10 foot high inflatable walls for maximum safety. The laser tag arena comes with 10 laser guns that are easy-to-use and safe for all partygoers. 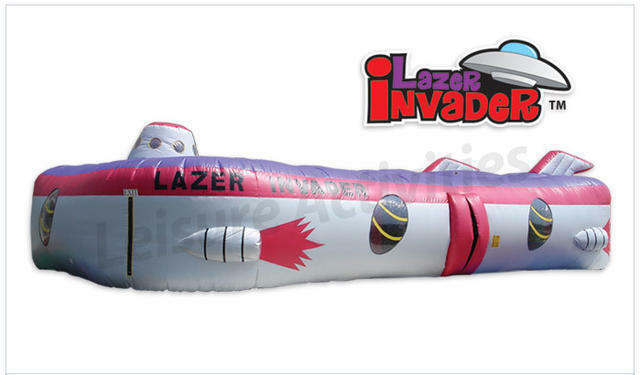 If you want excitement to run high, and give your guests the experience of an intergalactic space traveler fending off an alien invasion, make sure your birthday party, event or special occasion has the About to Bounce Laser Tag Arena. Priced at $639 for a two hour rental and $175 per hour afterwards, this is an outer space experience you can bring back down to earth.